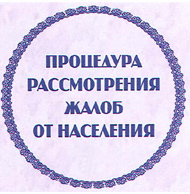 It is recommended to actively implement and promote the model of interaction under the Sakhalin Indigenous Minorities Development Plan, being jointly implemented by the Sakhalin Oblast Administration, Sakhalin Energy and the Regional Council of Authorised Representatives of the Sakhalin Indigenous Minorities. From the recommendations for state authorities in the constituent entities of the Russian Federation based on the results of parliamentary hearings of the Federation Council Committee on Northern Territories and Indigenous Minorities, 02 October 2008. The Regional Council of Authorised Representatives of the Sakhalin Indigenous Minorities was established at the Extraordinary Congress of the Sakhalin Indigenous Minorities on 25 March 2005. The primary goal of establishment and activity of the Council is to ensure protection of rights of Indigenous Minorities living in the Sakhalin Oblast. The Council is formed from representatives of the Sakhalin Indigenous Minorities (SIM). exercising monitoring and control over activities of project operators and their subcontractors covering production, processing and transportation of oil and gas in the Sakhalin Oblast territory and adjacent water area offshore Sakhalin Island to ensure its compliance with design documents and conclusions of ecological and ethnological expert reviews. Conducting its activities, the Council takes an active part in the life of the indigenous minorities in six compact residence areas. The members of the first Council were: A.G. Limanzo, A.P. Khatmullina, L.Z. Kravchuk, V.V. Tanvin, Z.L. Ronik, A.R. Minato, V.V. Solovyev, A.G. Shakhmatova who presented ethnic communities of Nivkhs, Uilta, Evenkis and Nanais. The main achievement of the first Council membership is creation of the Sakhalin Indigenous Minorities Development Plan that was launched on 25 May 2006 on the basis of a tripartite Understanding and Cooperation Agreement signed by the Council, Sakhalin Oblast Administration and Sakhalin Energy. The second membership of the Regional Council of Authorised Representatives of the Sakhalin Indigenous Minorities was elected at the 6th Congress of the Sakhalin Indigenous Minorities on 29 October 2008. Its members are: S.K. Kurmanguzhinov, F.S. Mygun, Z.L. Ronik. A.P. Khatmullina, T.A. Shkalygina (from the Nivkhs); G.B. Makarova (from the Uilta); I.Yu. Strakhova (from the Nanais), V.V. Machekhin (from the Evenkis). The Second Council members assign a high priority to holding offsite meetings in the municipal formations of the compact residence areas of the Sakhalin Indigenous Minorities regarding interaction with executive authorities and self-government bodies towards execution of the Economical and Social Development of the Sakhalin Indigenous Minorities for 2007-2011 regional targeted programme, the Development Plan projects, protection of rights and interests of the Sakhalin Indigenous Minorities.